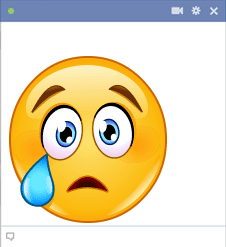 From sad news stories to your own melancholy updates, this tearful smiley may be one you want to insert in a comments section on Facebook. Our smileys are designed to help you express any emotion you might be feeling. In so many ways, it often happens that a unique image can say more than any words could to get your message across.